Eventide just announced that its popular Blackhole reverb plug-in is now NKS-ready — reconfigured to support Native Instruments’ Native Kontrol Standard extended plug-in format for use with MASCHINE and KOMPLETE KONTROL keyboards and software. 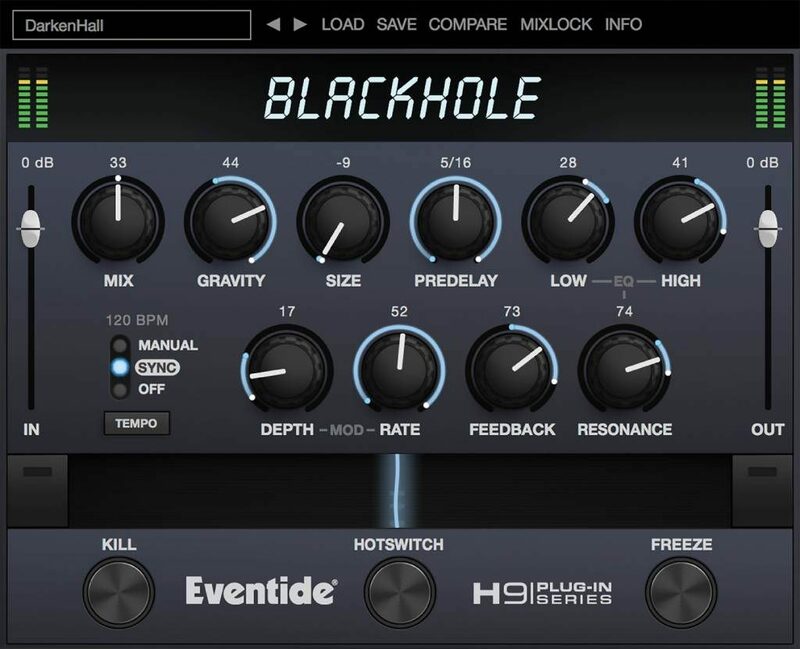 As reflected in its updated interface, Blackhole is part of Eventide’s H9 Plug-In Series designed with live performance in mind. The Ribbon control can be mapped to any combination of parameters giving a performer a single control over a world of effects. Integration with the NKS platform makes the Ribbon an integral part of the performer’s instrument. • Easy to use interface and more than 50 presets, including some by Eventide artists: Richard Devine, Vernon Reid, Flood & Alan Moulder, Jonsi & Alex (Sigur Rós), and John Agnello. • Unique Gravity control reverses the arrow of time by inverting the reverb’s decay. • Innovative Ribbon and Hotswitch allow for changing any combination of parameters simultaneously. If you’re not familiar with this fantastic plugin, have a look at this video. For more in-depth information, please visit the dedicated Blackhole webpage.